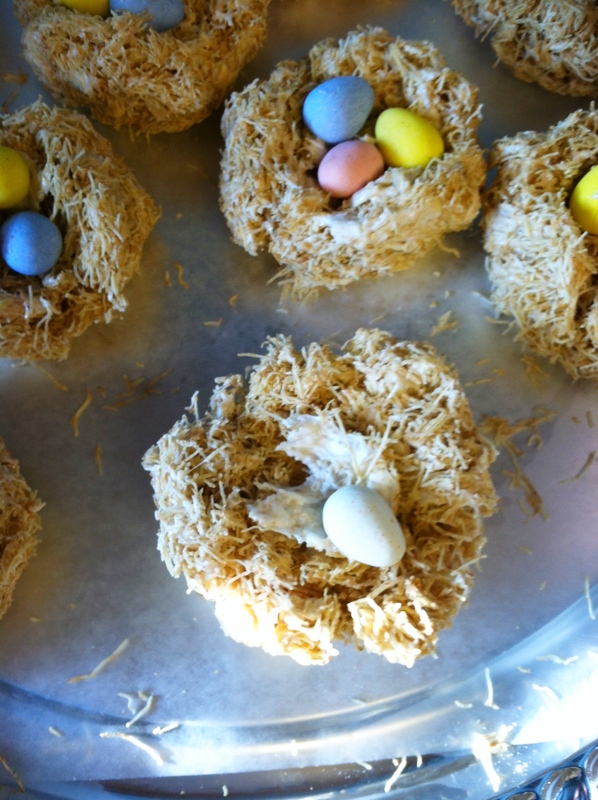 When I saw these bird nests on one of my favorite blogs, Enjoying the Small Things, I knew they’d be a perfect activity for Jax and I. 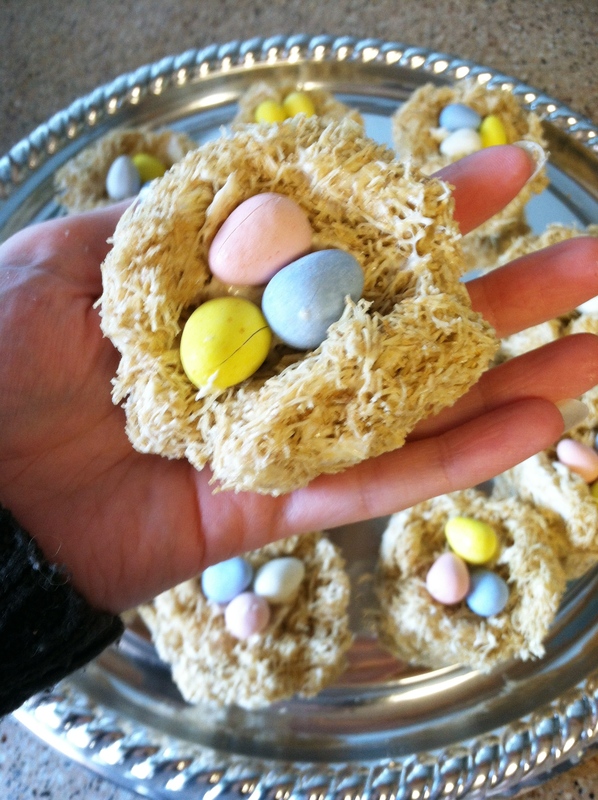 She didn’t go into details, but they are very simple to make. 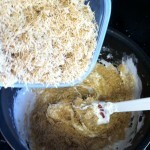 I highly recommend reading her blog. Her photos and words are both so beautiful and I’ve been enjoying watching her little girls grow up for some time. 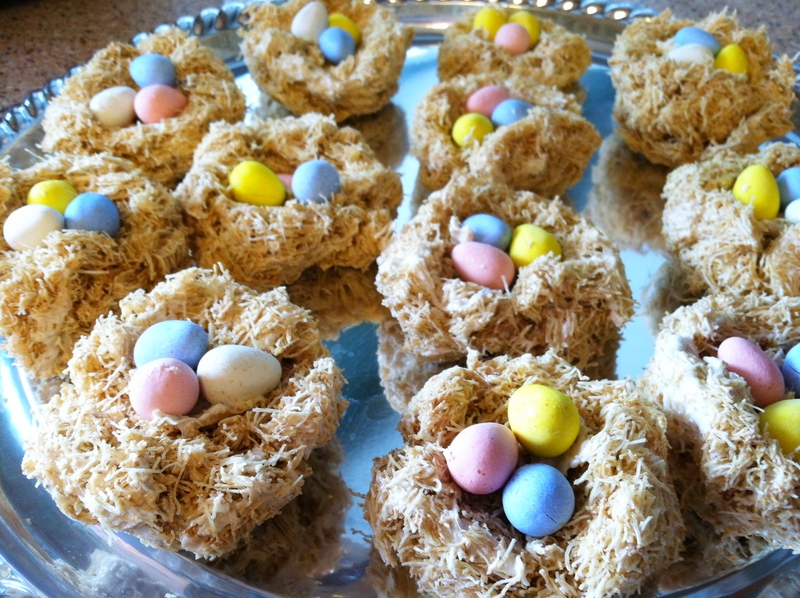 To make the marshmallow treat bird nests you need: a bag of marshmallows, a box of shredded wheat, candy covered chocolate eggs and 2 tbsp of butter. 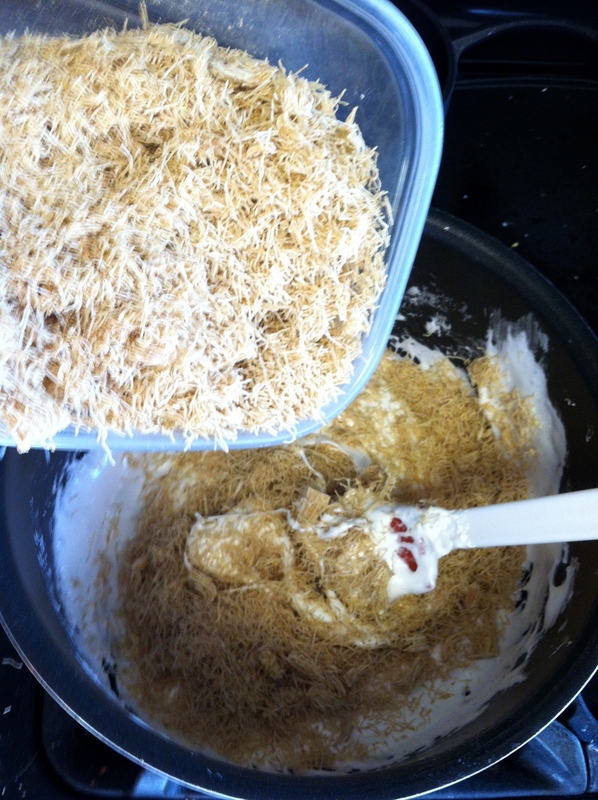 Think rice crispy treats, but with shredded wheat. 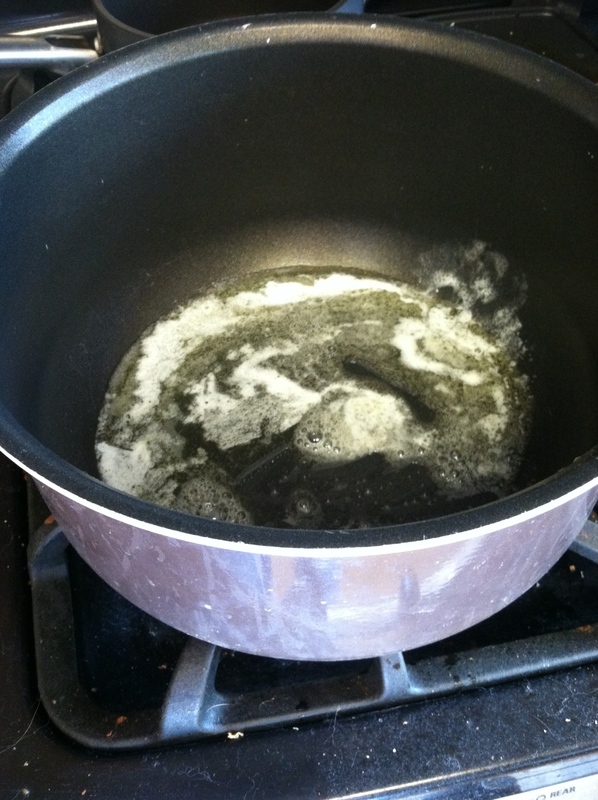 Start by melting the butter on low heat. 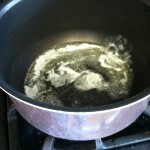 I used a stock pot so I’d have room to mix in the cereal later. 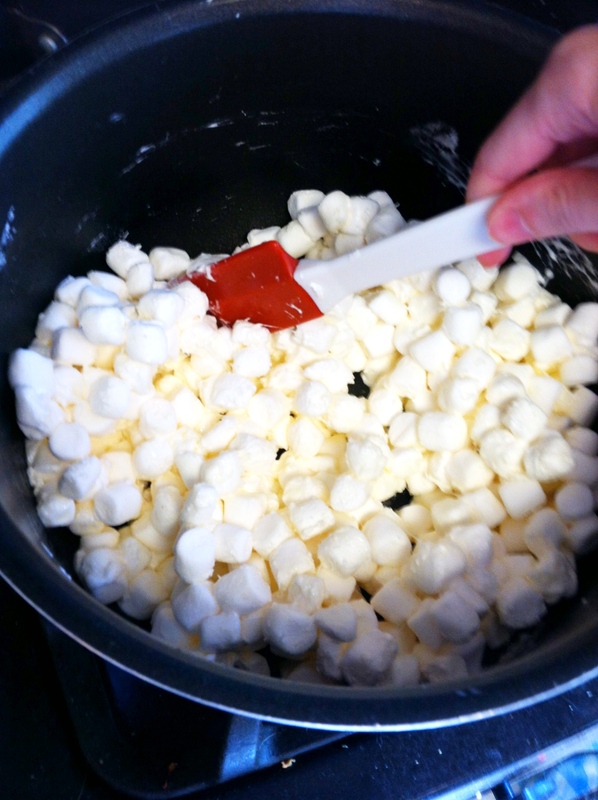 When the butter is melted, add the marshmallows and stir until they are melted and smooth. 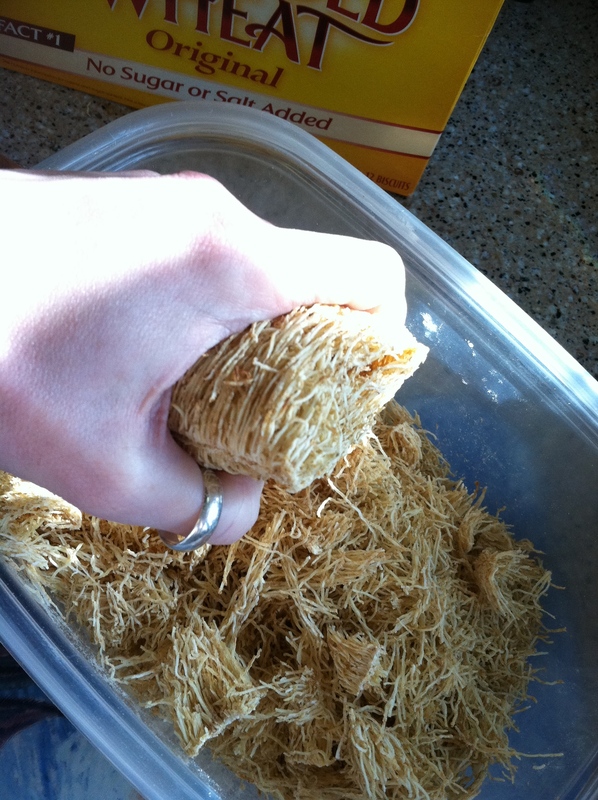 While stirring, I used my other hand to crumble the shredded wheat biscuits. 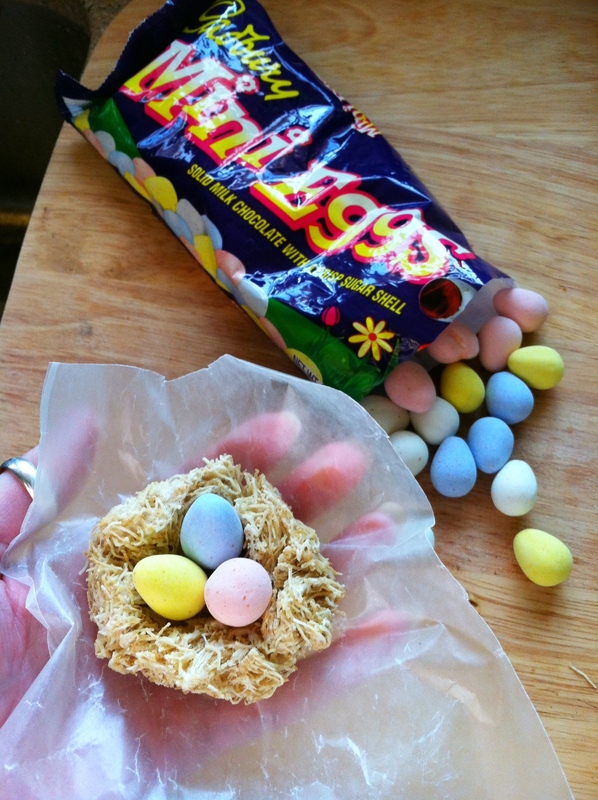 You could do this beforehand. 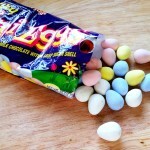 Remove it from the heat when your marshmallows are melted. 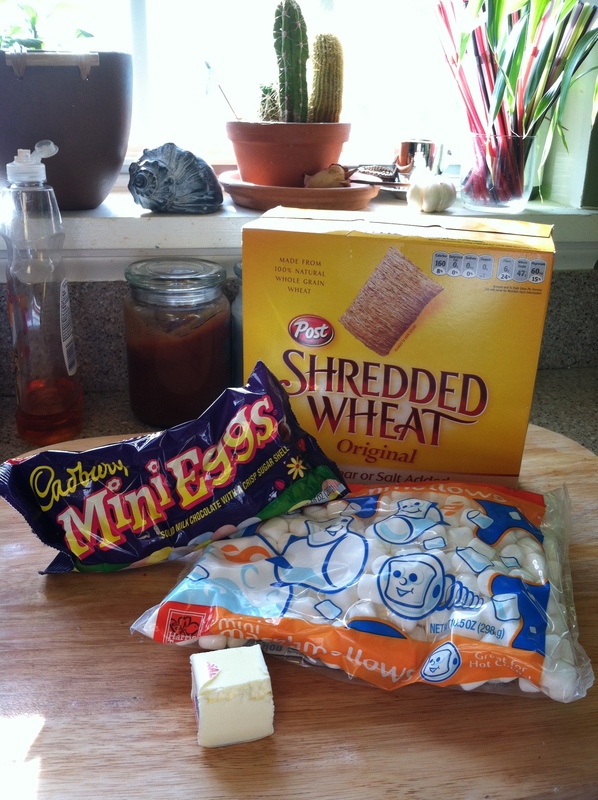 I set aside about 2 tbsp of melted marshmallow to act as glue for my candy eggs. 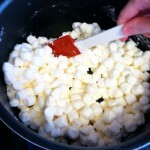 Stir the crumbled cereal into the melted marshmallows bit by bit. 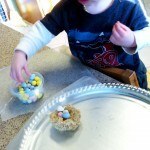 At this point, I called my little helper in from outside. (He had been helping his daddy lay down mulch.) 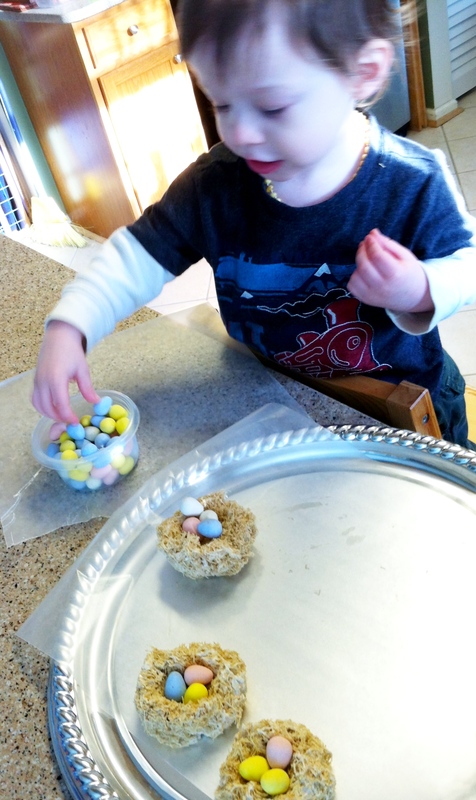 after a hand washing, I put him on egg duty. 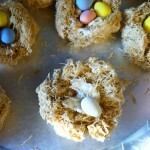 Jax is very enamoured with baby birds, eggs and nests at the moment. 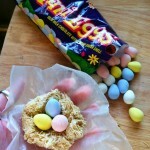 He was thrilled to see a bowl of tiny eggs and watch as I formed a nest. 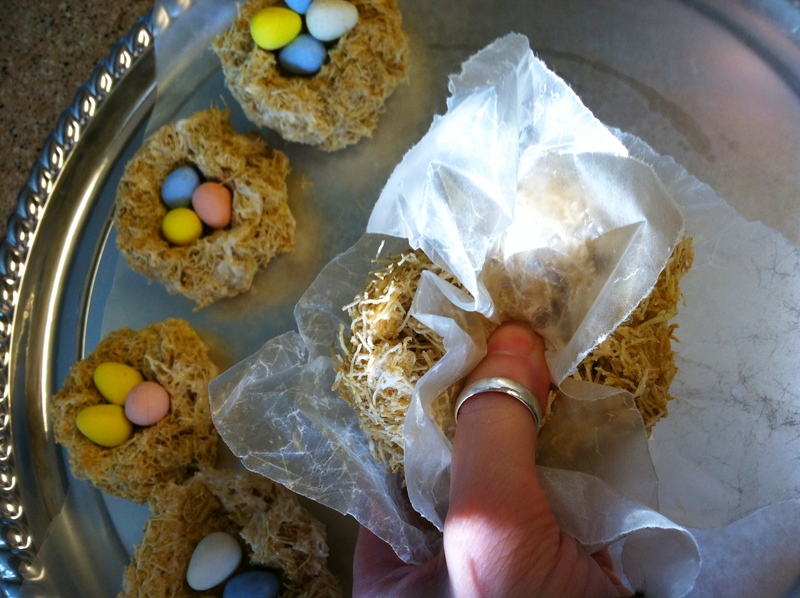 Using a square of waxed paper, I formed a small ball of the marshmallow treat. 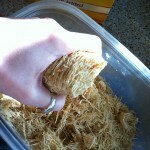 I then placed another square on top and pushed down to make the hollow of the nest. 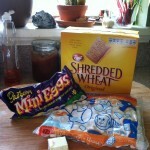 I added a dollop of the marshmallow I had set aside and Jax placed eggs on top. 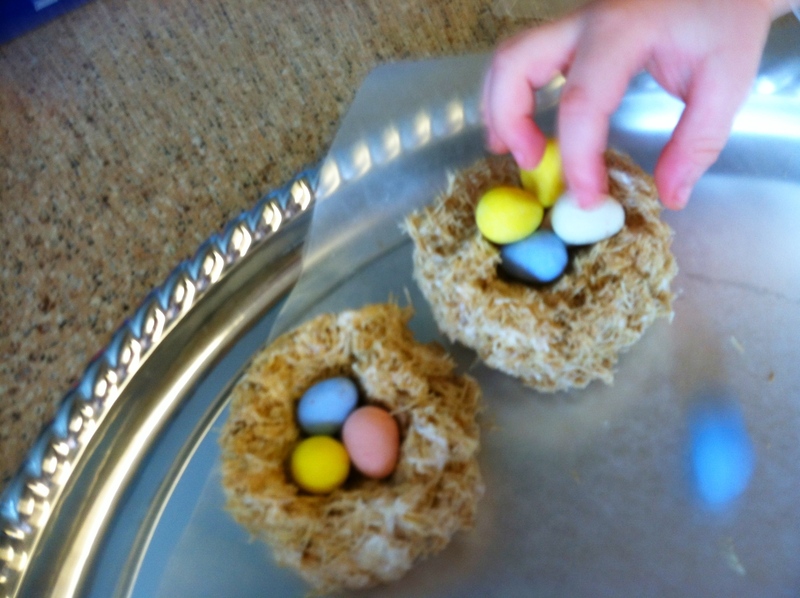 My little nests held 3 eggs and I made 12 nests. 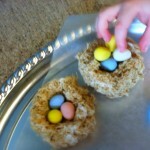 Jax didn’t realize the eggs were edible until the last nest. He held one up to his mouth and licked it. 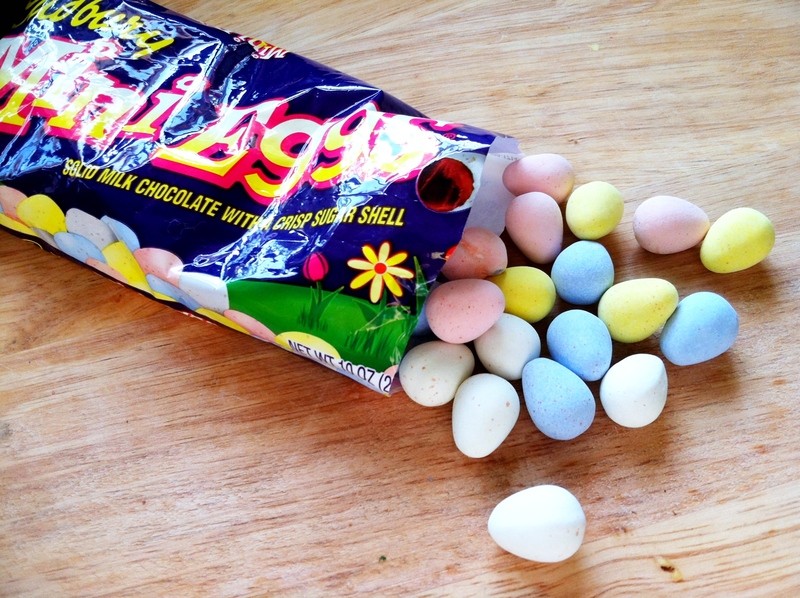 His eyes got wide and he said, “Oh, delicious!” I gave him permission to eat it and he said “Delicous, chocolate…” while he crunched away. 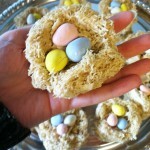 The nests came out so cute and were very easy! 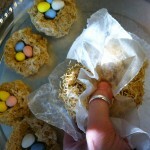 This entry was posted in Eat Well and tagged Easter, Recipe on April 1, 2012 by Stephanie.